Food costs, menu design, staffing needs, permits and a lot of other matters all have to be carefully thought out. And if a good kitchen team is essential for a successful start, the choice of your professional kitchen is just as important. The kitchen is in fact the heart and soul of your restaurant: following the latest trends in food service, the kitchen is open to the view of the clientele to enhance the team’s professional skills. Design and style become key elements for success. 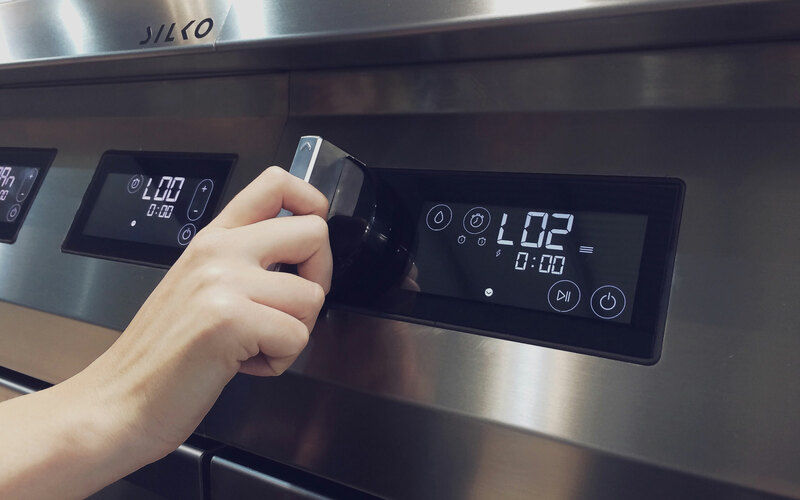 Given such conditions, we designed Silko Evolution cooking system as a reply to the challenge of combining a small and complete solution with a good amount of design for a modern and sophisticated environment. Silko Evolution is a mono block, available in different configurations, designed for the best performance and delivering a smart solution for all types of menus.